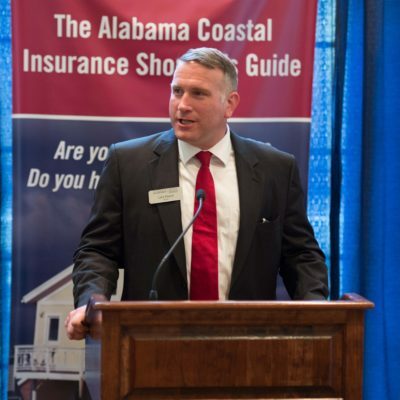 On July 20, 2016, the University of Alabama’s Insurance Research Center released a guide today to help homeowners on the Gulf Coast prepare for weather-related disasters.“Some 20,000 homes along Alabama’s coastal counties are not insured for wind damage, and thousands more are functionally uninsured,” said Lars Powell, director of the Alabama Center for Insurance Information and Research. “The new Alabama Coastal Insurance Shopper’s Guide will help people better prepare for, and recover from, hurricanes, and potentially save money in the process.”The guide was produced by the Alabama Center for Insurance Information and Research at The University of Alabama’s Culverhouse College of Commerce in partnership with Smart Home America and Coastal Alabama Partnership.“Shopping for insurance, like any other product, works best for consumers when they are informed and active in the buying process,” Powell said. 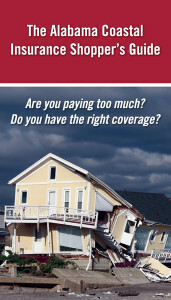 The guide features sections on the process of buying homeowners insurance, elements of coverage, flood insurance and a Homeowners Comparison Checklist, as well as a “Top 10 Questions” to ask when buying insurance. The guide is designed to help people better understand homeowners insurance and help ensure they are buying the appropriate coverage. Routinely shopping for homeowners insurance is a habit that saves money and ensures coverages reflect the current situation of families and of property. Strong and resilient communities have three key ingredients: effective emergency response procedures that protect people, high-performance construction that preserves property, and insurance to pay for the damage. Collaborating to prepare for the worst-case scenarios enhances the ability to recover quickly after a major storm and protect homes and communities. The launch of the guide continues the efforts of many who have been promoting hurricane resilience and stronger building methods along the coast, including Smart Home America’s Don’t Goof When You Re-Roof campaign (www.DontGoof.org) and the Alabama Department of Insurance’s Strengthen Alabama Homes program (www.aldoi.gov/SAH). Click here to view photos from the launch event. The Alabama Center for Insurance Information and Research provides highly credible information and research insight for the benefit of key stakeholders across Alabama, including policymakers, the public, insurance companies, intermediaries, trade groups and other parties that need information concerning the management risk. The center is dedicated to providing facts and truths to parties who directly contribute to the economic development of Alabama. Learn more at aciir.culverhouse.ua.edu. Smart Home America is a grassroots nonprofit organization that seeks solutions to the challenges faced by our built environment. Smart Home America partners with like-minded organizations and advocates for improved building codes, stronger building methods and policies to create more resilient communities. Learn more at www.smarthomeamerica.org. Coastal Alabama Partnership’s vision is for Coastal Alabama to become a globally competitive destination recognized around the world as the place to work, live, and play because of the quality of life found in the region. Visit www.coastalalabama.org to learn more.